Sontheim Industrie Elektronik (SiE) is expanding its portfolio with the Comhawk xt telemetry module series for networking and data processing. It meets the latest technological standards, the company said. 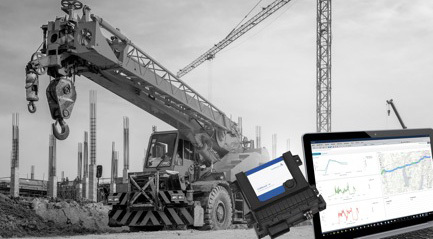 The connectivity and data management module is member of the company’s Comhawk product family. Equipped with a Cortex A9 single / dual core processor and a storage capacity of up to 1 GiB RAM 64 GiB Flash, data pre-processing is already completed on the module and thus before the transmission and further processing by cloud services. The module can either be integrated into an existing cloud and infrastructure via interfaces, or the Sontheim Cloud Portal can be accessed. Via a secured communication path and a clear ID assignment, the data can be visualized and displayed in different dashboards. The operating system based on Linux facilitate implementation of many applications. The variety of different interfaces makes them universally applicable and adaptable to almost any application. In addition to two CAN interfaces (optionally up to four CAN interfaces), which can be connected to any type of vehicle, a Wi-Fi interface, Ethernet connection, and a digital input is equipped on the hardware. The module also supports various IoT technologies for M2M communication via Wi-Fi and communication between the machine and an existing infrastructure. 4G communication is provided on the module and the module is already 5G ready. A mobile data connection of the machine is thus ensured globally, even in regions where no 2G / 3G infrastructure is available. The module is able to execute an embedded diagnosis directly in the vehicle and to trade OTX and ODX processes on-board. Due to an integrated GPS receiver, there is also the possibility of an exact position determination. The receiver supports the GPS, Glonass, Beidou, and QZSS satellite system. The integrated 3-axis motion sensor and a buffered real-time clock are also available and can wake up the hardware at any time from a sleep mode, for example, to protect against unauthorized access to the vehicle. The module was specially developed for the rough use of mobile machines. The IP69K housing provides protection against water jets, salt and fog, and withstands the harshest conditions. The system has been EMC tested and is vibration and shock tested according to the automotive, construction, and agricultural machinery standards.